Quite used to servicing customers’ street-legal cars, Renault India’s Noida workshop rose up successfully to a new challenge over the last couple of days. 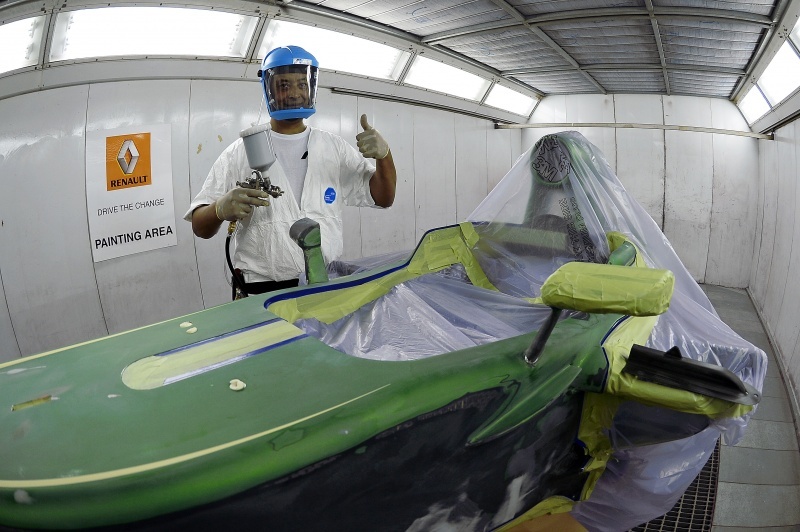 There was an urgency quite visible on the employees body language as they scurried to repaint a couple of chassis for the Caterham F1 Team before the Indian Grand Prix this weekend. Renault Sport F1 is the engine partner for the Caterham F1 team. 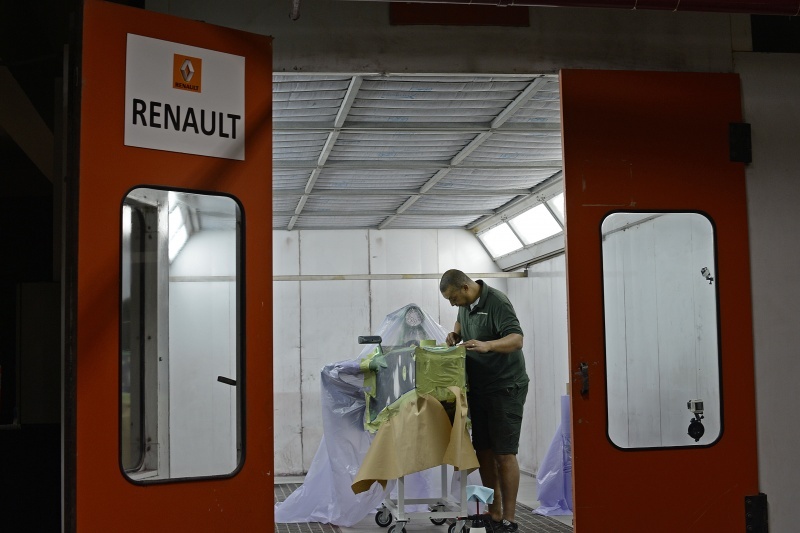 They enquired Renault India to arrange for a facility where the repainting could be done. It is claimed that all Renault workshops are designed to meet the stringent global standards, and all the crew members are well-versed in handling cutting-edge instruments to ensure top-notch quality. Hence, Renault India’s Noida workshop was zeroed in on as the preferred choice for the paint jobs. The team at the workshop eagerly looked forward to the challenge. They as well as the paint shop resources were marshalled by none other than the Caterham Paint Shop Supervisor, Michael Vickors. Moving forward laboriously and carefully, the whole team scrubbed off the existing paint coat, taking close notice to ensure none of the earlier paint layer remained. Then the primer was applied, followed by the base coat. On top of it, went a lacquer coat. To dry the paint and ensure that it won’t chip off, the whole chassis was heated to about 60 degrees centigrade. 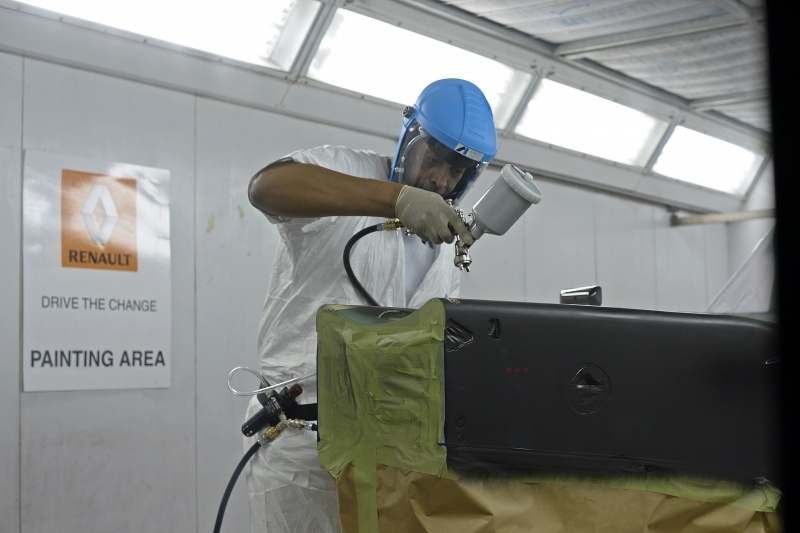 Since they need to keep a watch on the weight of the car, special spray guns were used to minimize the amount of paint used while ensuring a finish similar to that of a heavier paint usage. The whole of the chassis was bathed in paint, then the front and rear wings were taken up. The engine cover, side pods and the headrests followed next. A total of 4.5 litres of material was used up for the whole activity!! The paint is definitely high-tech material, and is supplied by Caterham F1’s official provider Cromax ( Earlier known as Dupont ReFinish ) .